Are you satisfied with the overall quality and appearance of your home? If you don’t like the way your home looks, then you should consider the benefit of investing in a few upgrades. 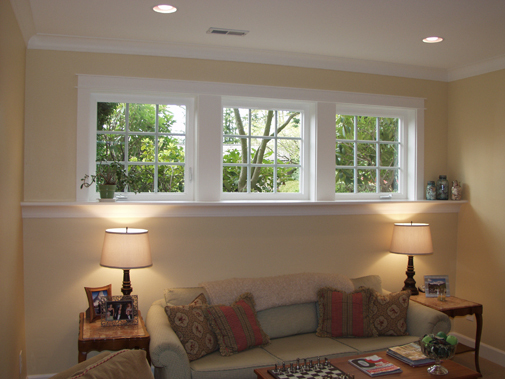 One option that you might look into are vinyl replacement windows and doors in Kent, WA. When you consider the costs and benefits of these upgrades, compared with some of the other options that are available, you will see that vinyl is the way to go. Does your property look old and outdated? Over time, it is normal for a house to start looking like it needs some upkeep. It can be embarrassing to spend time in a home that you aren’t proud to show friends and family members, and some homeowners find that they are hesitant to invite people over because they are worried about the appearance of their home. Instead of feeling embarrassed because your home needs a few upgrades, the best thing that you can do is contact us at Signature Window & Door Replacement. We offer many different types of products that can make your home look great! During your free in-home consultation, we will talk with you about your goals for the project in order to find the style and design that will work best for your needs. It is amazing to see how much of a difference it can make to replace the windows and doors in your Kent, WA home. If you want fast and effective results, then vinyl replacement windows are definitely the way to go! Energy costs can really add up. Have you noticed that you are spending more than ever on your monthly utility bills? If you are tired of spending a lot of money on your utilities, then you need to think about the benefits of energy efficiency improvements. A few small changes in your home can go a long way to reduce energy usage, which in turn will help you to save money. At Signature Window & Door Replacement, we know that windows and doors have a direct impact on the energy efficiency of your home. If you want to improve energy efficiency, then you need to look for ways to seal and insulate your living space to reduce the influence of the outside temperatures. Replacing the windows and doors is a great option to consider, because you will be able to decrease the drafts and make your home more comfortable without using the heater or air conditioner frequently throughout the day. Even though you will be spending a bit of money for these home improvement projects, you will notice that the costs can be recovered over time. It feels great to save money every month on your utility bills, and you will see that these savings accumulate to big numbers with time. It is important that you choose a trusted vinyl replacement contractor to work with. At Signature Window & Door Replacement, we want to be the leading provider of replacement windows and doors in Kent, WA. We have worked hard to build strong relationships with our customers, and you will see that we always deliver high quality service to every person that we work with.